Cool idea, but when I tried the spot back then, its tasteless tacos and lackluster service made it seem like just that: a good business idea that didn't reach fruition. But updating the listing for Bender's Burritos on our website last week convinced me Bender's was worth another visit. When I arrived about noon on Sunday, the crowd seemed to confirm my suspicion. 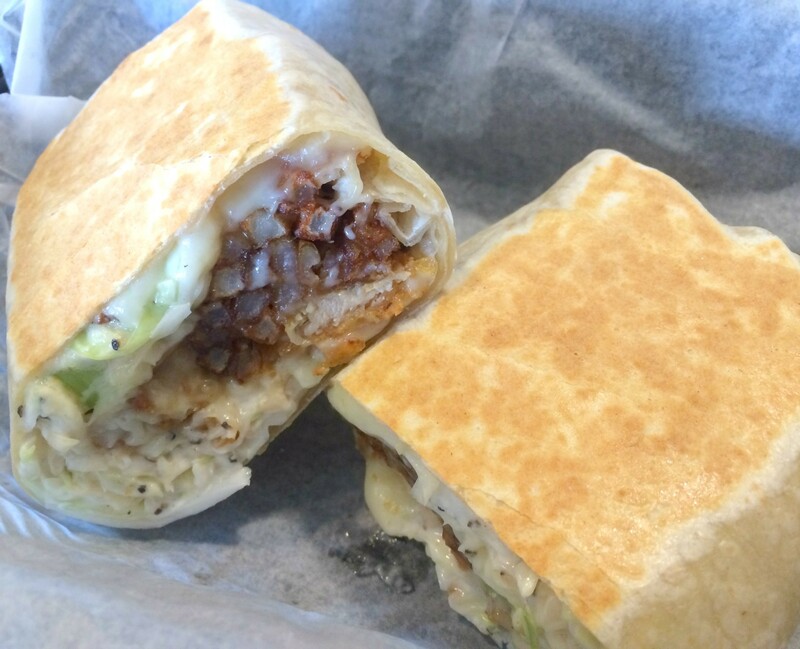 And eats like the fried chicken burrito made it official. As a critic, it's my job to try the menu items that could either go very wrong or very right. Lucky for me, matters steered in the latter direction regarding the potential monstrosity known as the fried chicken burrito. The fryer was working overtime and to great effect for this thing. Crispy chunks of chicken were joined by skinny fries to extend the crunch. Chopped celery and peppery coleslaw added their own fresh, watery crispness. And melty cheddar paired with a slosh of pork gravy? That was an important addition of the most important food group: fat. This thing could have been a wet mess of excess. But it wasn't. The lightly crisped burrito never yielded to the moisture of the ingredients, and my hands stayed clean. Let's not talk about my arteries. 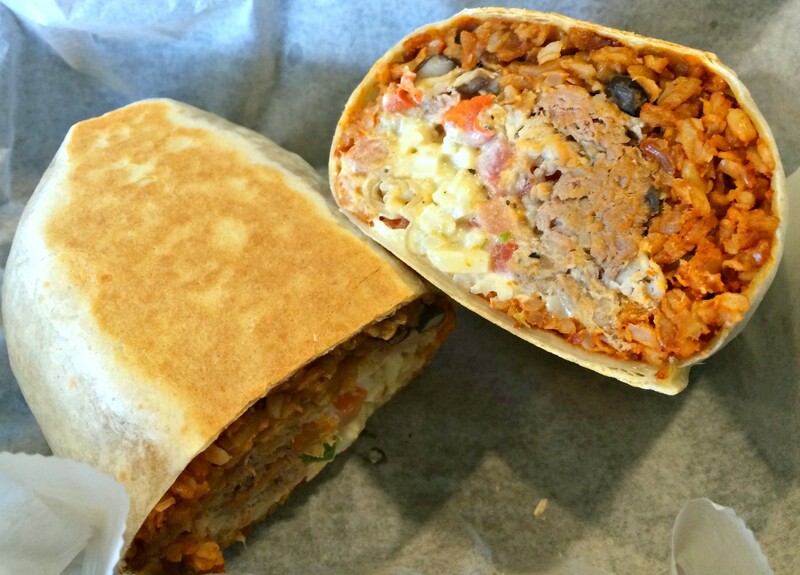 I skipped other specialty burritos, including takes on cheesesteak and surf-and-turf, in favor of one of the dozen classic combos. Pulled pork seemed like an obvious winner, but the slow-cooked meat was lacking in flavor. So was the Spanish rice that surrounded it. Doses of black beans, pico de gallo, cheddar and some sour cream added up to almost a pound of nice texture, but little taste when compared to the other burrito. While there was no excuse for the pork not to be seasoned more robustly, the main problem was that the burr-istas, as Bender's calls them, forgot my salsa verde. But the tacos proved the sauce was worth waiting for. The chorizo taco at right was the stand-out among the three corn tortilla wraps I tried, not least because of that tangy, garlicky green sauce. The chorizo itself was exceptionally complex, not just spicy but earthy and porky. I would have been more than satisfied with just those two ingredients, but creamy guacamole, fresh cilantro, a squiggle of sour cream and a light shower of cotija cheese each contributed its own virtues. The one buzz kill was a cold tortilla. This was a problem with all three tacos. Ingredients cooled quickly wrapped in the chilly blankets. Working from right to left, the $2 (!) sweet-potato-and-black-bean taco benefited greatly from the addition of a tomatillo salsa made ultra-smoky with the addition of chipotles. It tasted like a cowboy's campfire in the best possible way. But next time, I'll ask for it without pico de gallo. The pile of tomato and onion overwhelmed the things I really wanted to taste, including minced ginger and chipotle mayo. 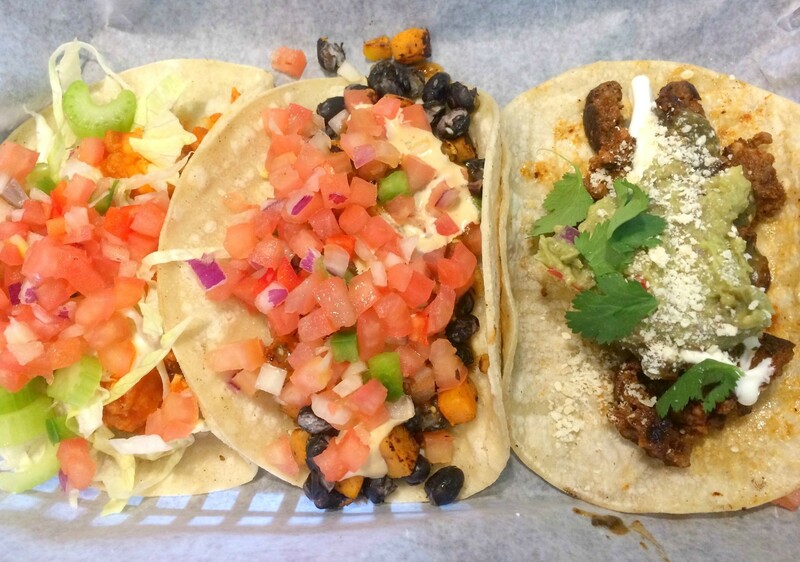 All the way on the left is the Buffalo chicken taco that will forever be remembered for converting my Buffalo-phobic other half. The combination of crispy chicken enrobed in Frank's Red Hot sauce, blue cheese dressing and slivers of celery did the trick. Once again, I could have done without the less-than-symbiotic presence of pico. 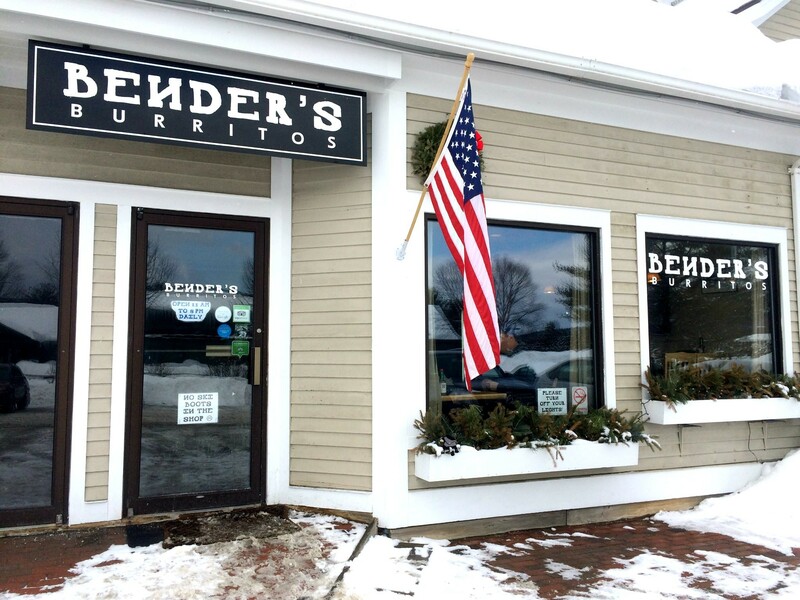 But still, when people ask me where to get well-flavored, cheap tacos and burritos in Vermont, Bender's will be at the tip of my tongue.